Reading to children on a daily basis is important. While you are reading to your child it’s a great time to choose stories with a lesson. 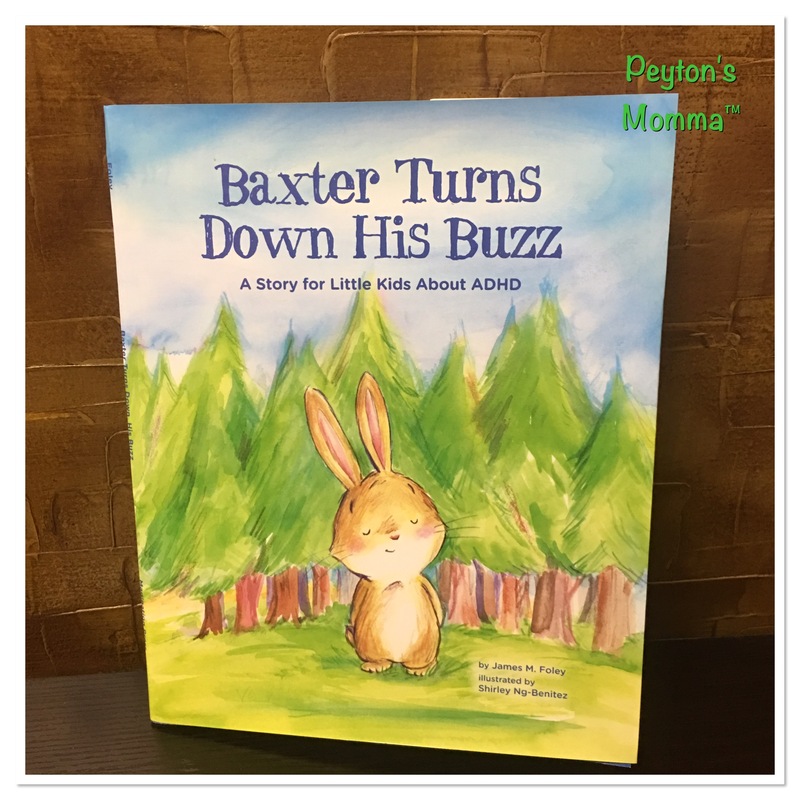 Baxter Turns Down His Buzz is a children’s booked geared to help children understand ADHD. When I was growing up, many children went undiagnosed with ADHD. Those children were labeled as trouble makers or class clowns. Thanks to my grandmother, my brother was not labeled either of those, he was diagnosed with ADHD and given the classroom setting he needed to succeed. Back in the 80s we segregated and isolated children with ADHD from other classmates. Today, we blend those same children into a classroom setting with their peers. But for the children who do not have a loved with ADHD they do not understand why little Johnny cannot sit still, has difficulty staying focused or is just a big ball of energy. Reading Baxter Turns Down His Buzz could help those children understand that when you have ADHD you mind is racing and your thoughts are moving faster than your mouth. For children with ADHD, Baxter Turns Down His Buzz could help them learn about breathing exercises, relaxation and learning to calm themselves so they can focus. I like this approach over medication. Yes, I understand some do need medication but I also believe in a holistic approach too. Baxter Turns Down His Buzz shows us how Baxter, who’s a very energetic bunny, learns to calm himself and focus on his environment. When we first met Baxter his mind is racing, he’s racing and he has no friends. It’s so sad. Uncle Barnaby teaches Baxter how to slow down, relax his mind and muscles and be mindful of who and what is around him. Before Baxter was zipping all over the forest, winning all the games, finishing his work first and alienating all the other forest creatures. Now, Baxter was learning how to slow down, focus and be considerate of those around him. For example, if he ran into someone he stopped and helped them up. Before he would have just kept running. Baxter Turns Down His Buzz is a good story for all children. In today’s fast paced world I think we all need to take a moment and slow down. You can purchase a copy of Baxter Turns Down His Buzz on Amazon or your local book store starting in September.